The Best Senior Dating Sites For Over 50! If you're looking for a reliable monitored medical alert system, backed by a company with a long track record, strong reputation and phenomenal customer service, Bay Alarm Medical is a phenomenal choice. 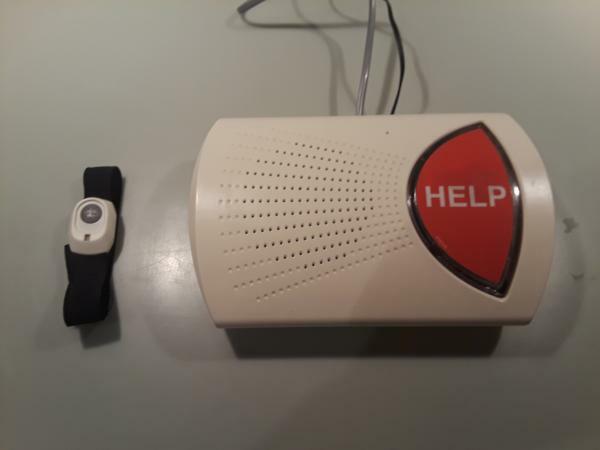 Bay Alarm Medical offers one of the best medical alert system alternatives for use in your home, on the go and even in your car, we're especially impressed with their in home medical alert system. It's easy to set-up, simple to use and very reliable. If you live alone and only need the system for use in your home, Bay Alarm has a great range of solutions for you. Perhaps best of all they don't overcharge for their service and offer exceptionally customer friendly contracts and terms like a 30 day free trial period and month to month contracts. The staff at SeniorSafetyReviews.com spends a lot of time reading and reviewing the terms and conditions of each contract to ensure our readers don't get locked into long-term contracts or bait and switch pricing schemes. Bay Alarm Medical does a good job keeping its contractual terms consistent with its marketing promises. Bay Alarm Medical ships their medical alert device right to our front door. We can't emphasize enough how easy we found it to install and test it. The system comes pre-programmed. 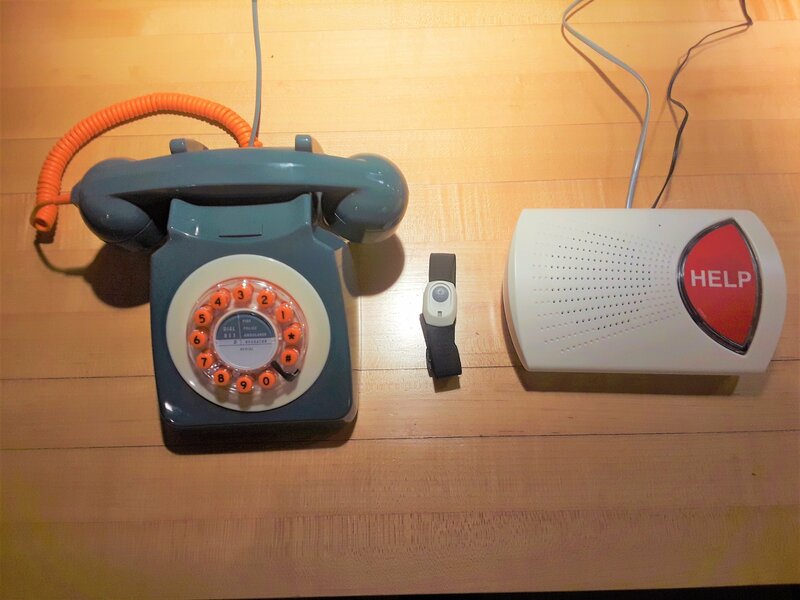 All you have to do is plug the base unit into the wall, put on your help button (on your wrist or around your neck) and press the help button to test it out and activate the system. The trained staff from the monitoring center will come on the line and talk to you from the speaker in the base unit. You'll let them know it's a test, they'll thank you, you'll hang-up and you're good to go! That's all there is to it. The entire installation and testing process took less than 10 minutes from beginning to end and everything worked exactly as promised. The speaker was very clear. We placed the base unit in the kitchen and pressed the emergency help button from the bedroom, the room furthest away from the base unit. The signal worked perfectly, calling the emergency response center immediately. The staff member talked to us through the base unit, and we heard him clearly and we're able to talk to him with ease despite being in a different room from the base unit. If you don't have a landline, Bay Alarm Medical offers the same unit you see in the picture above, except it connects to the monitoring system via cellular signal from AT&T. It works the exact same as the unit that plugs into your phone line and is just as reliable. You'll just have to make sure your cellular signal works. You'll also notice, from the picture above, that the Bay Alarm Medical base station is actually pretty small. It doesn't take up a ton of counter space like many other systems, which makes it pretty convenient and easy to place. We also like the help button, which is easy to find on the base station and just as easy to find on the help button worn around your wrist or neck. Although not as nice looking as a smart watch, we find having one button much easier and safer than some of the smart watch solutions on the market today. Aside from the standard medical alert base unit and pendent, there are several additional solutions you might want to consider depending on your situation. We really recommend you consider getting the wall button. One of the challenges of medical alert systems is getting users to consistently wear it where they need it most, in the bath and shower. Many people don't want to wear a pendent or watch when their bathing or showering. The alternative is to simply stick the Bay Alarm Medical Wall Button on the shower or bathroom wall. It's easy to find and always there. You may also want to consider getting a lock box. You put your front door key into your lock box, and place it outside your front door. The box can only be opened with a code. In the event an ambulance is sent to your home, the monitoring center will give emergency responders the code so they can open the door without having to break it open. We also love automatic fall detection. If you fear falling and not being able to press the help button yourself, fall detection will call the monitoring center automatically. Staff will then try to talk contact you, and if there is no response they will send over the ambulance and notify your family members. We're not big fans of getting a "protection" or warranty plan. As with most product protection plans, we believe the likelihood of you using it is low and not worth the extra money. Bay Alarm Medical offers the most competitive monthly subscription price in the industry for a basic medical alert system at $19.95 a month. If you go beyond the landline system, their prices look a lot more like the competition's. What's impressive though, is that even with their low prices, their contracts are still fair and flexible. We combed through their contracts and couldn't find any of the classic medical alert gotcha's like Life Alert's 3 year contracts. So who do we recommend Bay Alarm Medical to? If you're looking for a basic in-home landline medical alert system, Bay Alarm Medical is an excellent choice. They offer great equipment and exceptional service, at some of the lowest prices in the industry, with a free 30 day trial offer, and month to month contracts. With that type of offer, there's no risk to giving it a try. If you've ever wondered if a medical alert system was right for you, we'd definitely recommend taking advantage of Bay Alarm Medical's 30 day free trial offer - you have nothing to lose! If you have any questions regarding Bay Alarm Medical or would like to order a system call 855-692-0104 or you can order directly from their website at Bay Alarm Medical. Senior Safety Reviews will not publish material that is influenced by an advertiser. Nor do we receive payment from advertisers to appear in our rankings, comparisons, or lists. To help support our site, we may receive a fee for some links you see on pages like the one you’re on now. Enter your email to receive our weekly newsletter. Advertiser Disclosure: So how do we earn a living? When you click on a link from Seniorsafetyreviews.com and buy a product, we may receive compensation if we have a partnership with that service provider. However, the reviews and rankings on our site are based on objective quantitative and qualitative analysis. For more information, please check our full Advertiser Disclosure.